The South Street Seaport Museum may not be one of New York City’s glitziest institutions, but it’s certainly one of the most resilient and perhaps the one most closely tied to the founding of the city itself. Using actual historic buildings and ships to provide interactive exhibits and educational programs, the museum tells the story of New York’s rise as a port city and how that led to the development of the entire country. But the seaport location became all too real in 2012 when Hurricane Sandy ravaged the entire historic district, leaving the museum with $20 million in damages and the loss of its institutional partner, the Museum of the City of New York. 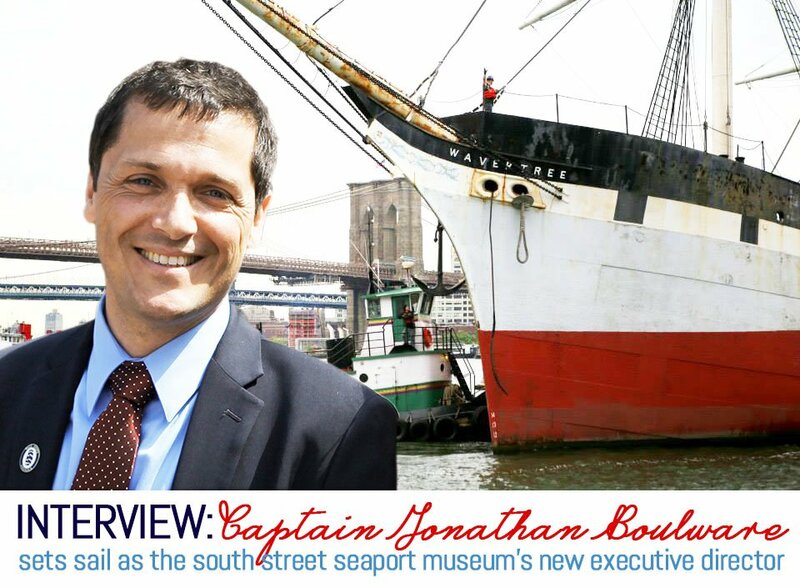 Now, three years later, the South Street Seaport Museum is sailing into new territory, thanks in large part to its recently appointed executive director Captain Jonathan Boulware, a lifelong sailor, marine educator, expert in historic ships, and all-around lover of maritime history and culture. In August, Boulware and his team landed a $10.4 million FEMA grant to repair the storm damage, and in May, the museum launched a $10.6 million city-funded project to restore Wavertree, one of the museum’s most significant historic ships. With these exciting developments underway, we caught up with Captain Boulware to learn a bit about his background, what visitors can expect at the museum, and where the institution is heading. 6sqft: Tell us a bit about your career in sailing and working with tall ships. How did you get into the field? Captain Boulware: I started sailing little, traditional boats in the Mystic River when I was a kid. I grew up around the Mystic Seaport Museum and got my feet wet there pretty early on. Wooden boats with traditional rigs were a part of my growing up, mostly in my teenage years. I worked as delivery crew in New England waters and made a trip to Soviet Russia when I was 19 as a part of a maritime cultural exchange program. That same year, I made my first ocean passage. I joined the replica British frigate H.M.S. Rose for a voyage in the North Atlantic and Caribbean Sea. (Rose also starred as H.M.S. Surprise in the “Master and Commander” movie.) That experience led to many more and I found myself sailing in traditional ships and schooners for the next 15 years or so. I got my first captain’s license when I was 22 years old and sailed as captain for the first time at 23. In the modern context this is fairly young, but 100 years ago it would have been very common. Most of the ships I have worked in have been actual historic ships, replicas of historic ships, or modern interpretations of historic ships. The common thread for all of them is education; these ships mostly carry students. 6sqft: Do you still sail often for fun? Captain Boulware: I don’t often. I do miss it. This is the time of year when I miss it most. Late summer into early autumn is the most amazing time to sail. But I’ve actually done very little sailing “for fun” in my life. Most of the time I’ve been under sail it’s been working in vessels that have a job and in most cases that is education programming. The big schooners and small ships I’ve worked in have all had students aboard for a day, for a week, for months…Some of that sailing was really quite a lot of fun, but the most satisfying and engaging thing to me is being a part of a ship that provides an experience to students. No one can be prepared for their first sunset at sea. Waking after a short sleep and being on deck with a mug of coffee at first light is an experience unlike any other. 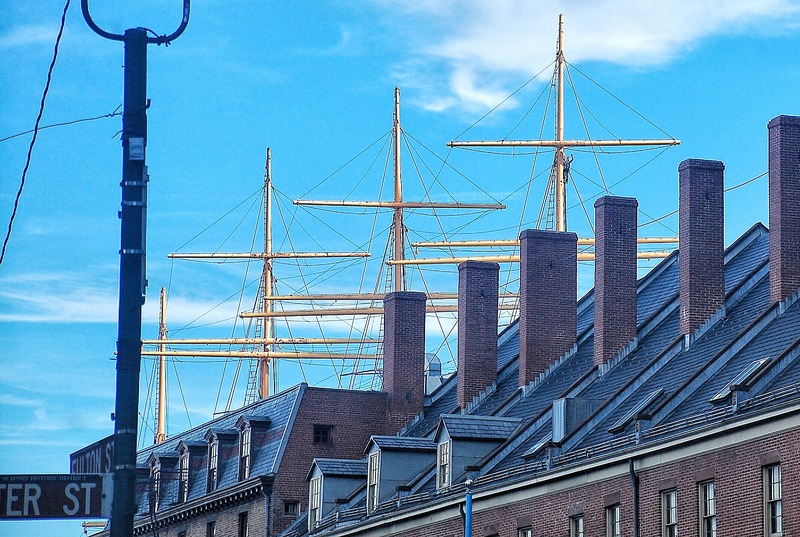 6sqft: How did you get involved with the South Street Seaport Museum? Captain Boulware: I came here first in 1992 as a sailor in a visiting ship. 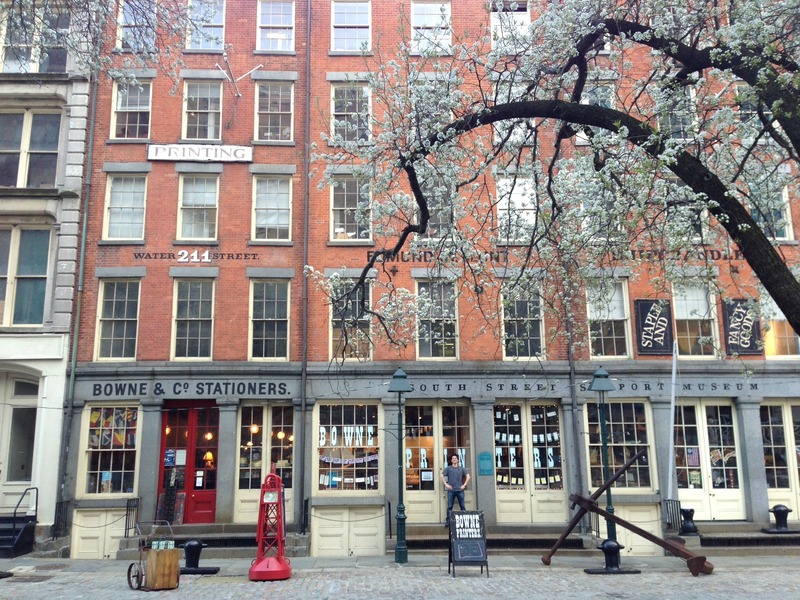 I fell in love with the place: the historic district, the nautical bookshop, the vessels at Piers 15 and 16. I came again as a captain in the late 1990s and then visited on and off over the years. In 2004-2006 I sailed as captain in the museum’s schooner Lettie G. Howard, carrying New York Harbor School students on voyages in New England and mid-atlantic waters. I rejoined the museum in 2011 as waterfront director when MCNY assumed responsibility. That 2011 effort at restoring this New York treasure continues. The Seaport Museum is once again an independent institution and we’re gathering real momentum. 6sqft: After serving as interim director, you came on board officially as the museum’s executive director in April. How’s it been going? Captain Boulware: We’ve made very good progress over the past two years. 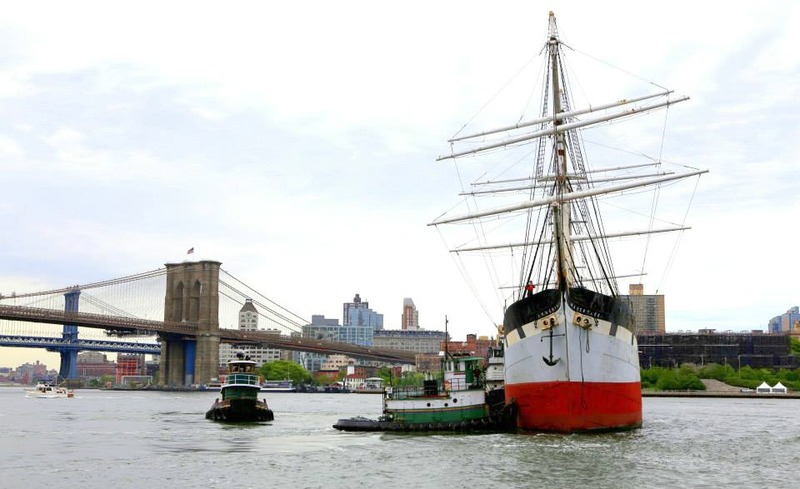 We’re halfway through a $10.4M city-funded restoration project in the 1885 ship Wavertree. We were recently awarded $10.6M in Sandy-related FEMA funding. Our education programs are, in nearly every category, three times busier than last year. We have the two schooners, Pioneer (1885) and Lettie G. Howard (1893), sailing as excursion and education vessels both in New York and farther afield. But there is a great deal more to do. We are still very much post-Sandy with regard to galleries and exhibitions. Climate control, access to galleries, and basics like adequate electrical service still need a lot of work. The FEMA money is a very strong start, but we’ll need more of many resources to fully revitalize the museum. More funding, more staff, and additional partnerships and programmatic relationships. It’s all achievable, but there isn’t a one among us who doesn’t realize that it’s a huge task. But we are all acutely aware of how worthwhile the work is. 6sqft: Speaking of Hurricane Sandy, we know the museum was heavily damaged by the storm, but just how bad was it? Captain Boulware: Pretty bad. We actually had a heavier focus on the waterfront in advance of the storm. Three days before Sandy made landfall we were preparing the ships. At that point, no one had any idea that there’d be a surge like we had. In fact at the museum, Sandy had relatively little impact from the wind and waves than what we typically worry about with a big cyclone. It was the surge that damaged us. In hindsight it’s laughable, but we actually had a couple of rows of sandbags in front of all of our doors. The reason that’s comical is that we had nearly seven feet of water outside our front door at 12 Fulton Street. I was standing in the lobby of the Museum with two other staff members when the surge really began and we could hear the basement flooding with the sound of a great waterfall even before the street surfaces were flooded. The sandbags were irrelevant. The water came up through the island. The ships ended up being only minimally damaged. The building infrastructure, however, was ruined. Elevators, escalators, fire safety, electrical, climate control, steam, and virtually everything else were knocked out. Soaked with salt water. Many of those systems are still offline, which is why we can’t place collections objects in the galleries. There is not appropriate climate control for proper care. Fortunately, all of the collections are stored on the third and fourth floor, so none were damaged. 6sqft: Do you think the entire Seaport district has bounced back from the storm? Captain Boulware: No. Much has been done, but there are really two issues facing the Seaport. The first is that we have the Sandy impact to address. Small businesses, for centuries the lifeblood of the Seaport, have gone out of business and may not return. Many buildings still have infrastructure damage of the type I’ve described. The other issue is the question of how the Seaport is managed and treated by all of the stakeholders involved. The Seaport is a precious gem in the crown of New York, an irreplaceable asset. We must treat the Seaport with the reverence it deserves, as has been done in many other port cities around the world. Doing this right will not only give New York the old port it merits, but it will preserve a vital piece of America’s history. 6sqft: One of the most special elements of the museum is its fleet of six historic ships. Can you tell us a little about them and how they fit in with the general museum programming? Captain Boulware: The museum is a special place in New York and the world because it represents the Seaport. Not just any Seaport, but the principle Seaport of the United States during a time when our country was experiencing the growth that would make it the world leader it is today. Our nation’s successes, and of course those of New York City and the financial industry, can be traced directly to this Seaport. Finance follows trade. This is why Wall Street is located just a few blocks away. South Street was South Street before Wall Street was Wall Street. But the story of the Seaport, although it’s one of trade, of goods and services, of finance, of printing, of immigration, of culture, is also a story of shipping and exploration. The ships that built this country—the ships that carried furs from the interior to Europe and landed coffee, tea, molasses, and so on—landed here at South Street. So to properly relate this tale we have both the buildings, the original warehouses and counting houses of the Seaport, and the ships, examples of the types of ships that carried on the businesses we’ve talked about. Something that makes the ships at South Street really special is that visitors can interact with them. Pioneer and Lettie are both active, carrying visitors and students. When Wavertree returns there’ll be ways to engage visitors in her as well. 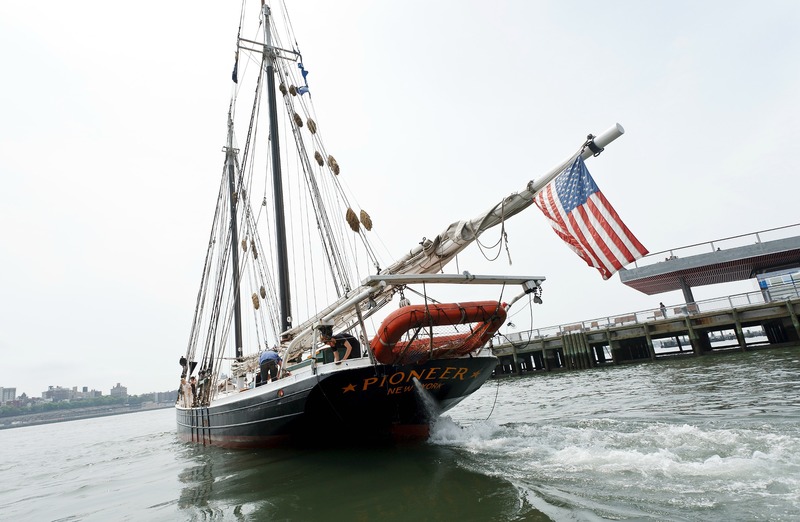 Nowhere else in New York can you sail a 130 year-old schooner as a part of your museum visit. 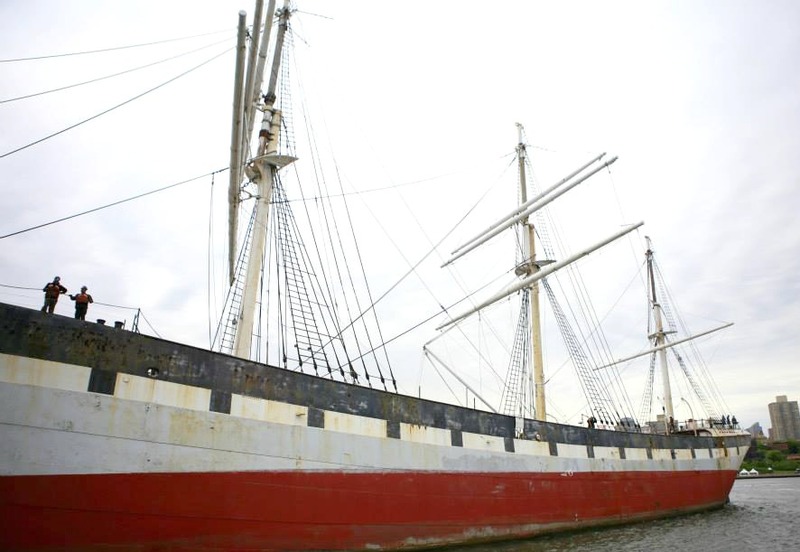 6sqft: You mentioned receiving $10.6 million from the city to restore the 1885 Wavertree. Can you tell us a bit about this vessel and the restoration project? Captain Boulware: The Wavertree restoration project is the largest project of its type undertaken in recent history. Wavertree was built for the jute trade and fairly quickly became a “tramp,” meaning that she sought any cargo bound for anywhere that made her owners money. She wandered the world’s oceans for more than twenty years, circumnavigating the globe dozens of times, before she was dismasted off Cape Horn. She was then converted into a sand barge in South America. Her main mast was cut away and her decks opened up so she could accommodate a huge load of sand. When the Museum found her in the 1960s, she was still in that condition. She came to New York in 1968 and since then a number of major projects have been undertaken, including one that led to her sailing in New York Harbor in 2000. But the conversion to a sand scow was never totally undone. In this project, we’re replacing the removed ‘tweendeck, the deck under the visible main deck. We’re also replacing the entire main deck, some iron plating below the waterline. She’ll be sandblasted and recoated with modern protective paints. She’ll have a new cathodic protection system that will protect her from electrolytic corrosion. And her rigging will be renewed, not just to where it was when she left for yard in May, but to a much higher standard. When she returns, she’ll look sharp, but more importantly she’ll be ready to lie protected and secure at her berth in the East River for the next twenty years. And she’ll be the crown jewel of our fleet of ships, taking her role in our programming as the type of ship that built New York. 6sqft: There’s also the working trade centers on Water Street. What occurs there? Captain Boulware: These are 19th-century printing shops and a Maritime Craft Center. I said earlier that finance follows trade. Printing, in turn, follows finance. If finance is a mechanism to pay for goods that are shipped today but won’t be sold for months, then printing is a way to document that arrangement. So where you have a port (a change in the mode of transportation), you have finance (the funding of transactions). Where you have finance, you have the printers of these financial instruments. 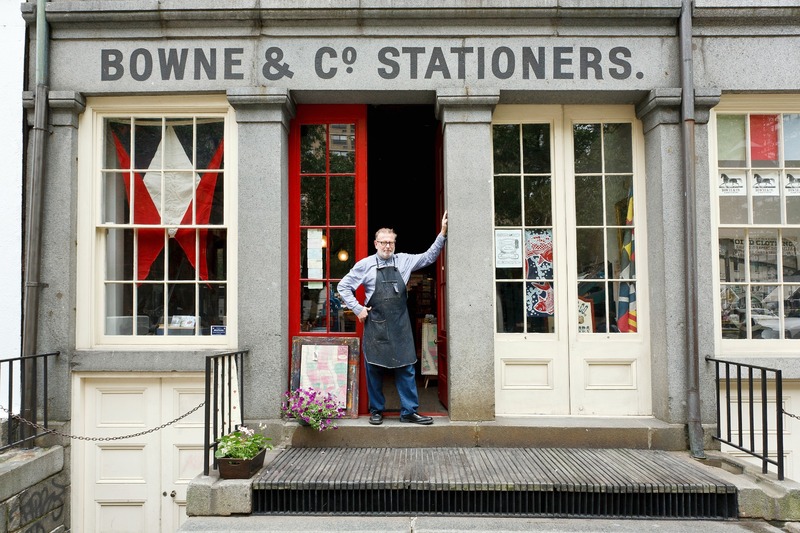 So Bowne and Co. Stationers, which has been in business in New York for longer than any other business, is a part of the museum and has a massive collection of moveable type. We do two principle things there. 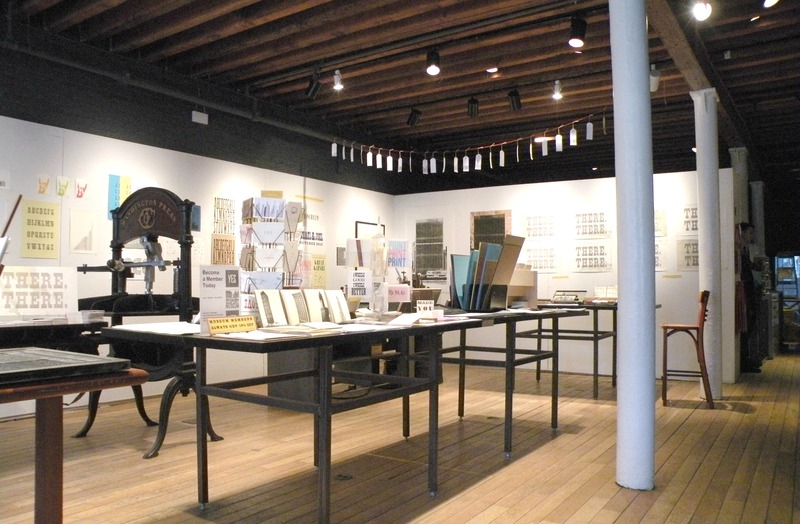 First, we care for, demonstrate, and use the presses and the type as they’ve been used for hundreds of years. Second, we engage visitors, students, and workshop participants in all sorts of programs. Block carving and printing, the making of books, and other art forms that are both faithful to the original intent of the collection but are also new interpretations using these treasures. I knew little of printing when I first came to the museum, but I’ll admit that these old foot-treadle machines and the art that comes from them are one of my favorite parts of our Museum. 6sqft: What other types of exhibits can visitors expect to find? 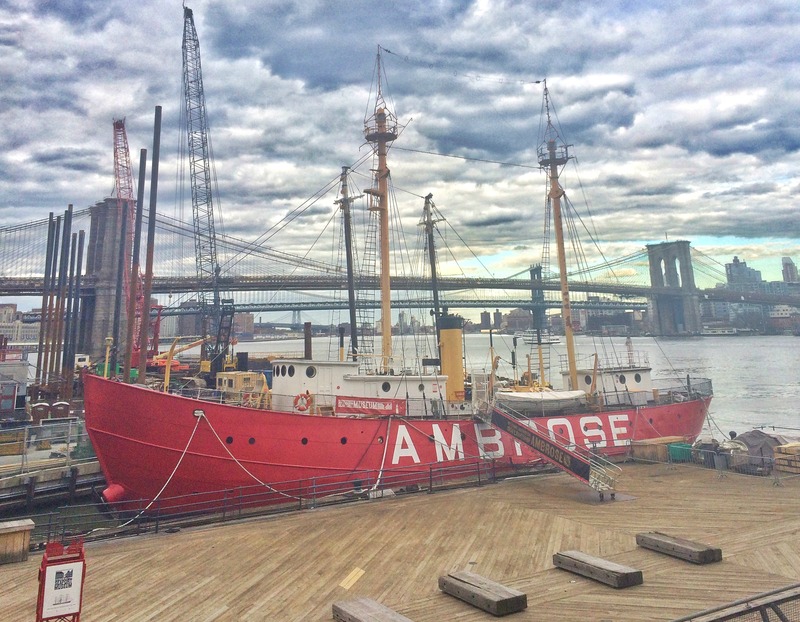 Captain Boulware: We have new interpretation ready to go into the lightship Ambrose (1908) berthed at pier 16. In the lobby at 12 Fulton Street there is a rotating exhibition that’s open to the public. We’re changing that right now, but the most recent one was a collection of photographs by the well-known photographer and chronicler of the Seaport, Barbara Mensch, accompanied by objects from our collection of Seaport and Fulton Fish Market items. 6sqft: It seems like education and working with the city’s youth is a major part of the museum’s mission. Is this is a big part of what you do? Captain Boulware: Absolutely. We’re fundamentally an education institution. We use our ships, our collections, our buildings, and the district as a whole to teach students, New Yorkers, and the visiting public about all of the things we’ve been talking about. We do that through STEM topics, through arts education, through trade skills development, and more. Our education programs have historically been the strongest part of our programming and our budget. This year we already have three times the participation over last year and we’re still growing. This, more than any other factor, speaks to the strength of what we do and the important role we play, particularly in areas that are not typically easy to do in traditional classrooms, areas like STEM education and practical skills development. These both happen very powerfully and effectively on our ships. 6sqft: Okay, last question. 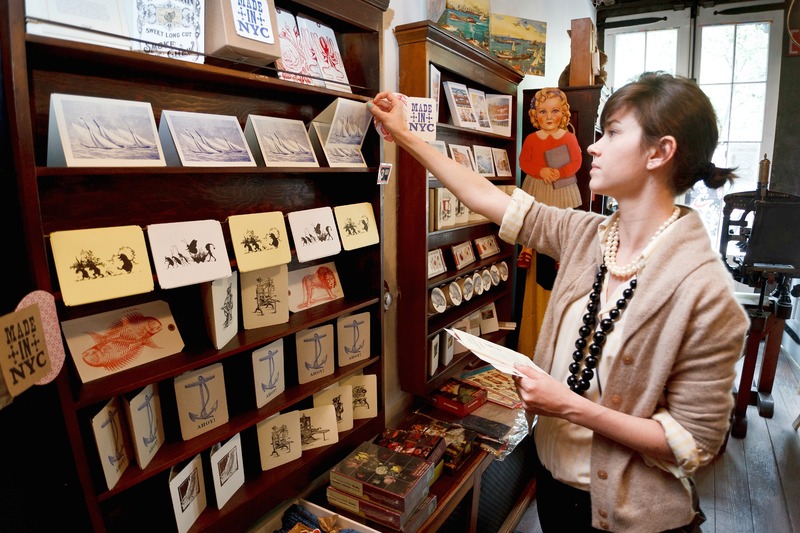 Where do you hope the South Street Seaport Museum will be five years from now? Captain Boulware: We’ll have fully rebuilt our education programs and they’ll be active in our ships, in our upgraded and functional education spaces, and in the Seaport at large. This is already well underway. Wavertree and Ambrose will be hubs of activity at the pier, hosting visitors and students. Pioneer, Lettie G. Howard, and W.O. Decker will be operating regularly with passengers and program participants. Exhibitions and public programming will have returned to the district with a robust slate of offerings for all ages. The maritime library will again host researchers and colleagues from all over the world. And South Street Seaport Museum will once again fulfill its role as the interpreter of the original port of New York, the place where New York began. Terrific intro to the Seaport, the Seaport Museum, and to Capt. Boulware. thanks for this. Thank you Captain Boulware for saving the historic tall ship the Wavertree. I used to go there since I was 7 years old with my family, and we watched the sunrise, and sunset. My family and I, would have dinner on the top floor, that over looked the east river, you could see the famous Brooklyn bridge, Manhattan bridge, and Williams burg bridge along with the beautiful magical views of the city lights at night. My family and I went to eat there on occasions. I used to have fun at the video game store, and I even took my husky Saber there mostly at winter when he was a puppy. The classic pier 17 was a mall, with many restaurants, even a dance room, and was open to the public, tourist 24-7. I feel sad for the people who got evicted, they worked at the beautiful red pier 17 for 30 years. I’m very sad to see this happen. The original classic red pier 17 was iconic, and had a cozy romantic beautiful look. The original pier 17 looked so nice with the cobblestones in the area, also the old cafes, the bars in the area, and looked perfect for the historic Peking sail boat, along with all the rest of historic boats that are there..It felt like I walked into an old golden age movie. I really thought they would renovate the classic red pier 17, and keep the old fashion style for such a historic part of New York City..But No!..The billionaire Howard Hughes corporate greed. I’m working on a video tribute to the original cozy, classic, old fashion, & beautiful red pier 17. The original was, and will be the best, pier 17 always. Now the spirit remains, my story ends here.